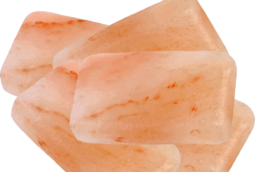 Himalayan Salt Articles are presented to inform and educate our readers about the benefits of Himalayan Salt, its uses, and provide other helpful information about the salt. ➤ Science Behind the Salt: Studies by Columbia University suggest that Negative Ions can help relieve Depression. ➤ This versatile salt has many uses, even within the culinary world, and differs from regular salts in flavor and uses. ➤ Enjoy a soothing Salt Therapy Experience at a Salt Cave; check our List of Himalayan Salt Therapy Caves in the US to find one near you! ➤ Looking for important items for a family emergency kit? You may be interested to learn why Himalayan Salt is an Essential Survival Preparedness Kit Item. ➤ Learn more about some of the benefits and uses of Himalayan Sea Salt as A Natural Remedy for Common Ailments. 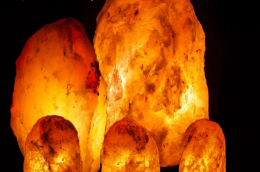 ➤ Himalayan Salt Lamps are reputed to provide many healthy benefits, including improvement of emotional well-being and cleaner, fresher air for healthier breathing! 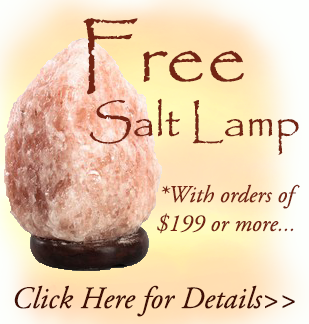 ➤ Himalayan Salt Lamps are a relatively new product in the US, so you may be wondering…What is a Himalayan Salt Lamp? ➤ If you are looking for inspirational lighting, Himalayan Salt Candle Holders offer a warm, tranquil glow for any room of the home or office. ➤ Many individuals even have salt walls, rooms or saunas in their homes, as they are clinically proven to treat respiratory ailments such as Asthma and Allergies. ➤ Want more salt lighting options? 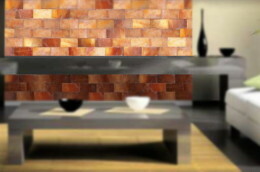 Himalayan Salt Walls are one of the Latest innovations in Green Home Decor. The can be designed any way you want, with literally endless possibilities for unique decorative structures in the home. ➤ Salt blocks are perfect for use over an outdoor grill or camp fire and add fantastic flavor to grilled foods! ➤ Himalayan Pink Sea Salt can be cooked on, cooked in, served on, and sprinkled over food, or included in spice mixtures for just about any dish you can dream of! ➤ Interested in Free Himalayan Salt Recipes? These tantalizing dishes are sure to make your tastebuds super happy! ➤ Organic Himalayan Sea Salt is gaining in popularity and use in the Organic Culinary World! ➤ This great article provides directions on How To perform an Ayurvedic Saltwater Flush using Himalayan Salt. ➤ Find out how you can use Himalayan Salt to help relieve discomforts associated with Cold and Flu symptoms, and effectively treat that sore throat, or sinus issue. ➤ Anyone can enjoy the Benefits of a Himalayan Salt “Sole Bath” , however, suffers of skin irritations, rashes, etc. may be very interested to learn how a Sole Bath can help sooth and treat these ailments. 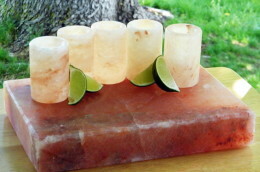 ➤ Discover How To Create Himalayan Salt Jar Candle Holders for wedding dinner tables and gifts. Or you can use them around the home to create a warm, softly lit atmosphere!